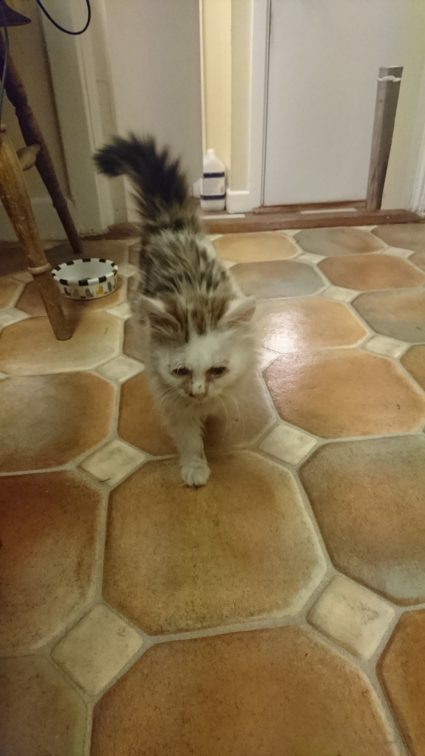 This kitten found us in Swords (close to Round Tower) area yesterday 13th Sept. 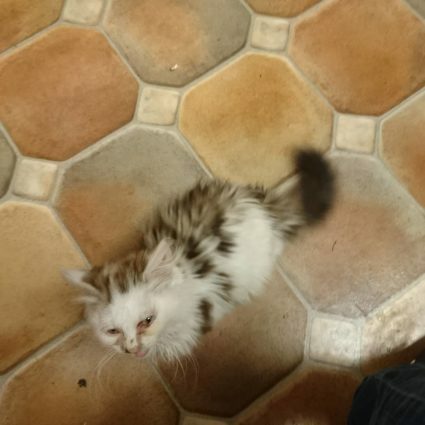 It is small, distressed and hungry, has a cold and may have an eye infection. 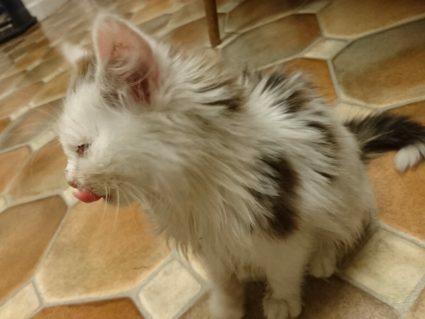 It was in a scruffy state but very house friendly so we think it is a family pet rather than abandoned.